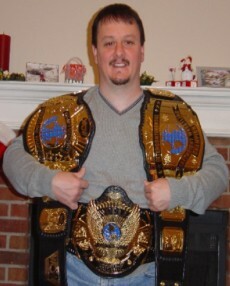 Here are pictures of the Universal Wrestling Federation Heavyweight title. It's a dual plated 5 plater with logo plate and tip. The best I have ever seen of it's kind.